As the industry around you evolves, so does your need to keep up with its advancement. Taking another step to keep hoteliers in forefront, eZee introduced a pricing comparison tool that facilitates them with stats and comparison of pricing strategies of their competitors on a single screen. Popularly known as Rate Shopper, the tool lets you compare and analyse the rates that your competitors present on OTAs. 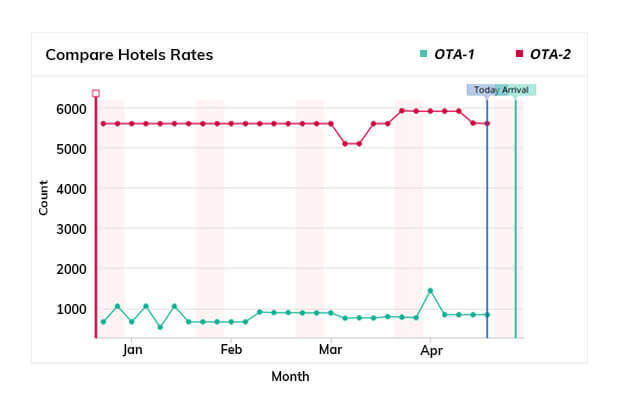 Moreover, it will forecast your competitors' rates on OTAs for a period of 30 days, projecting them as per the previously performed rate updates. Using which, you will be able to strategize and update your rates on the connected OTAs accordingly. Furthermore, you can track your and your competitors' performance on the OTAs, eventually helping you set up effective pricing measures for higher revenue. Rate Shopper is available with our booking engine or channel manager on a free-of-cost trial for 30 days! Explore in depth here and get in touch with us to get started with your free trial. Designing a website is not just an art, but an essential element of marketing strategy which needs frequent innovations on presentation and information. Mainly, it represents 'who' you are and 'what' you offer. A short while ago, eZee shifted its eZee Ultimate website with a brand-new appearance. Depicting a contemporary look and feel, the designers at eZee came out with a crisp and lightweight design resembling eZee's exponential growth. In addition to a vivid presentation, the website enveloped the 360-degree aspect of the technology platform through minimal content. The major highlight being a video that explains eZee Ultimate in less than 2 minutes, the website adhered to a newfangled approach of design and content marketing following a rigorous market analysis and planning. This offering from eZee is bespoke, generating immense response from plethora of hotels worldwide. Visit our newly constructed eZee Ultimate website and get the idea of our leading-edge technology platform. Permeability of smartphones at a global level is gaining a huge momentum with increasing number of users daily. 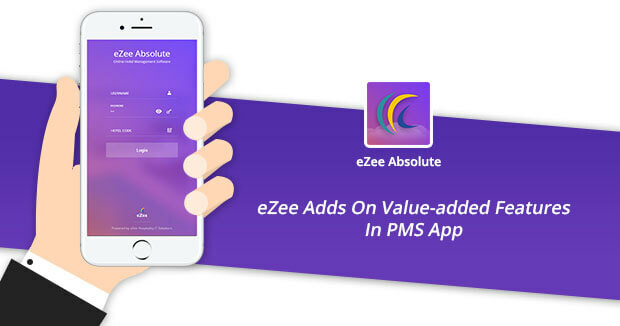 So, walking hand-in-hand with business demands, we had set foot in the direction of mobile apps for the industry and recently came up with a new version to our PMS app eZee Absolute. Through this app, hoteliers now will be able to handle their bookings and reservations, keep a track on audit trails, perform booking operations easily, receive push notifications on new reservations and many more hotel happenings on their fingertips. Summarily, hoteliers get an easy access to all basic operations from anywhere and anytime regardless of their property type. The app ensures flawless user experience with swift facilities to manage a hotel. Check out our PMS on mobile and download it on your Android or iOS phones now. The hospitality sector being dynamic, is always striving to generate new demands and trends. Offering something more than your regular services takes you a step above your competitors. As the travelers worldwide seek for attractive packages while planning their trips, you as a hotelier ought to be open to offering extraordinary amenities. Say, you have a long weekend coming up, and you put out your rooms on all your distribution channels with a bundle of complementary recreational activities and some offer on food and beverage. This in turn, will attract lookers in booking their stay with you for the weekend and make the most of the services you offer. Survey reveals that packages make guests stay for double the period of time at a hotel. Thence, regardless of the season, packages like these always help you in getting guests stay at your hotel. 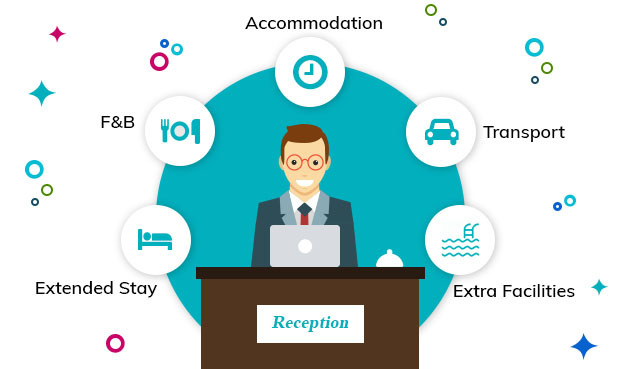 eZee Reservation booking engine helps you set beneficial packages and deals to lure your guests effortlessly. Find out more of its features here or try the booking engine now. Every investment in business is done keeping in mind its risk and returns. Greater the risk, higher the returns. 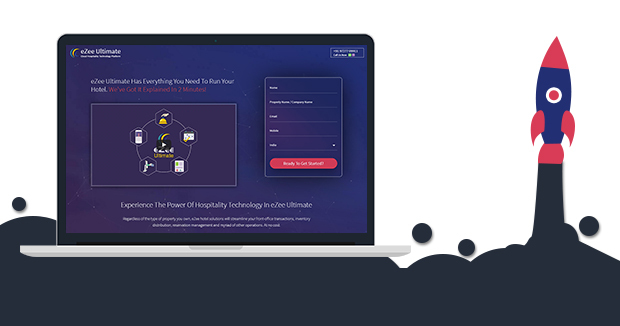 When you install a high-ended hotel software at your property you expect it to improve efficiency and accuracy of operations, reduce labor costs and a lot more. Therefore, measuring ROI is very crucial for determining where you stand and eventually expand your business.
' Technology cannot work per se. So, how do you measure returns from investing in a technology? Which factors could be considered and measured for returns on investment? ROI on technology = Net gain on technology / Cost incurred to implement technology. 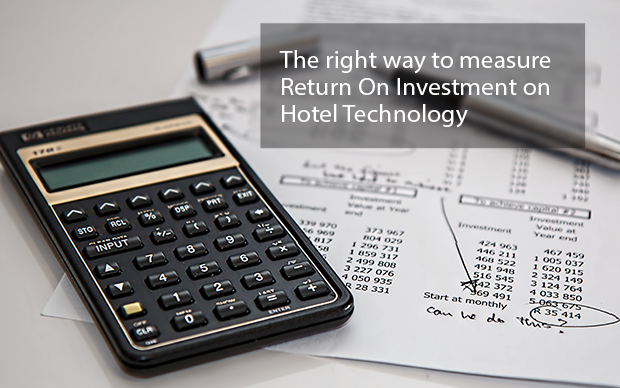 Therefore, to get positive ROI either you have to focus on both increasing gain and reducing capital cost. Well, we have delved in deeper to help you figure out on how to make your hay shine in a full-fledged blog here. Events like workshops and seminars are one of the most preferred ways to learn about the latest trends and showcase your products and services to your target audience. eZee got a chance to participate in two such refreshing events recently. eZee was invited in a performance workshop organized by the Online Travel Giant Booking.com at Ahmedabad. The event witnessed a gathering of more than 40 prominent hoteliers and hospitality industry professionals eager to learn brand-new strategies for improving performance on the OTA. Ankesh Dhawan, Booking.com's account manager gave his keynote speech on the whats, whys and to dos of the hospitality industry on Booking.com. Post the speech, the Booking.com experts attended the hoteliers with a quick Q&A session, resolving all their doubts on working with the OTA. The performance workshop rendered vast amount of knowledge to eZee, giving them an opportunity to employ such useful techniques for its users and help them get a boost in their bookings and revenue. 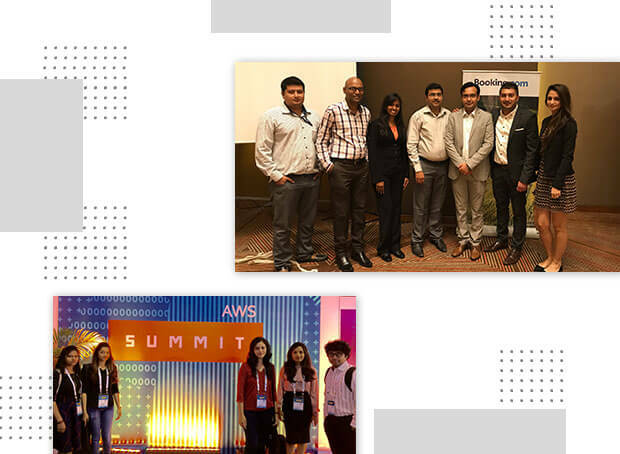 Secondly, Amazon Web Services (AWS) organized a Global Summit in Mumbai with an aim to educate their new customers about the AWS platform and offer existing customers in-depth know-how to be more successful with AWS. Addressing the audience, CTO of AWS - Dr Werner Vogels, presented case studies of famous brands such as TCS, Bajaj Finance and Balaji Telefilms, and their optimum application of AWS. eZee's developers attended the event with power packed learnings and insights on cloud product development as they interpreted the optimum use of AWS services in our solutions. eZee's cloud solutions are developed with cutting-edge technology, helping you simplify your business. Stay connected with us to remain updated on such happenings and more. Users like you trust brands that they've heard good things about. Just as you trust product reviews and what your friends say before making a purchase, your opinions too are heard and followed devotedly. Suffice to say, that your word-of-mouth recommendations have become the most effective recently. 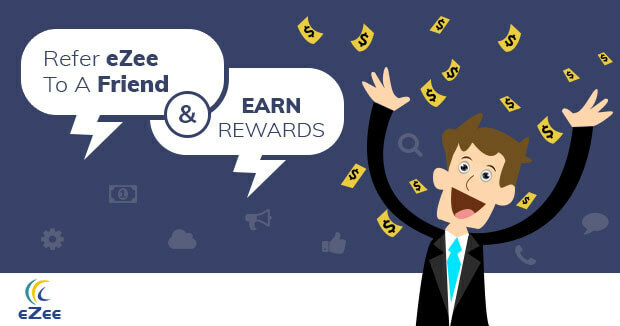 So recently, eZee has come up with a profitable Referral Program exclusively for the current users of its solutions, such that for any successful referral you make for eZee solutions, you will be entitled to earn an attractive giveaway. eZee has always valued the contribution of its users towards its gradual expansion over the years. This Referral Program will be a step further, giving you a chance to earn a completely offbeat reward from eZee. Following the successful endorsements we have received from many of our existing users uptil now, we're in to offer something extraordinary to show our gratitude. Have someone to recommend eZee? Contact us and refer eZee solutions to a friend, acquaintance or your network to earn exciting payoffs.